Home » Blog » Do I Need a Dental Night Guard? Dental night guards are usually recommended for patients who suffer from nighttime tooth grinding, also known as bruxism. According to the American Dental Association, bruxism affects around 10-15% Americans, so it’s a pretty common problem. 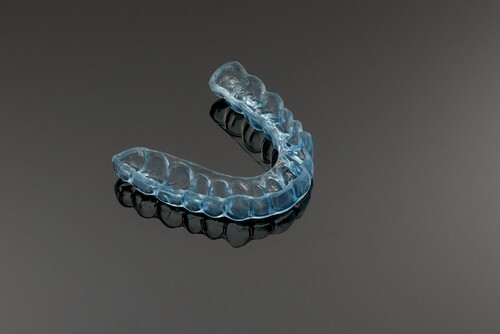 While night guards are typically the treatment of choice for bruxism patients, our dental office in Tuscaloosa would like to explain why, how they help, and options you may have. Your dentist in Tuscaloosa may suspect bruxism before you do, but there are signs you should be aware of. Bruxism can be treated following a proper diagnosis from a dentist. There’s no need for you to live with pain or at risk for tooth damage and TMJ problems in the future. If you suspect you may be grinding your teeth at night, we encourage you to give our Tuscaloosa dental office a call to schedule an appointment. We’ll evaluate your individual needs and recommend the best treatment option for you.